The following summary of laws is not an exhaustive list of all relevant New Hampshire landlord tenant laws and regulations nor is not intended to be legal advice. Should you have any legal concerns or questions regarding New Hampshire Landlord Tenant Laws, we highly recommend that you consult with a qualified attorney. Many local and state bar associations have referral services that can assist you in locating an attorney. 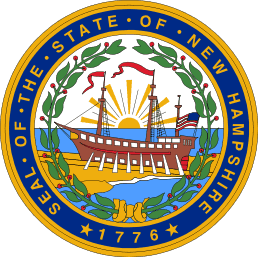 New Hampshire Revised Statutes Annotated, Chapters 540, 540-A and 540-B. Stay up to date onNew Hampshire Landlord Tenant Laws+Save money on tenant screeningand other property management needs.Join AAOA today, it’s FREE! Maximum Security Deposit. Yes. A landlord is permitted to charge a tenant the equivalent of one month’s rent for a security deposit or $100, whichever is greater. If the tenant and landlord share the rental property, New Hampshire does not impose a statutory limit on the amount a landlord can charge for a security deposit. NH Rev Stat §§ 540-A:5 to 540-A:8; 540-B:10. Security Deposit Interest: A landlord is required to pay interest on any and all security deposits held for a year or longer. NH Rev Stat §§ 540-A:5 to 540-A:8; 540-B:10. Return of Security Deposit: A landlord is required to return a tenant’s security deposit within 30 days after the tenant has vacated the rental property. If the landlord and tenant share the rental property and the security deposit is greater than 30 days’ rent, the landlord must provide a written agreement which specifies the time-frame in which the security deposit must be returned. If the landlord fails to provide a written agreement, the deadline for the security deposit to be returned is 20 days after the tenant vacates the rental property. NH Rev Stat §§ 540-A:5 to 540-A:8; 540-B:10. Receipt: A landlord must provide the tenant with a receipt that states the amount of the security deposit and the name of the financial institution where the deposit is being held (unless the tenant has paid with a check). NH Rev Stat §§ 540-A:5 to 540-A:8; 540-B:10. Exceptions to Security Deposit Laws: All laws related to security deposits do not apply to landlords who lease a single-family residence and own no other rental property. The security deposit laws also do not apply to landlords who lease property in an owner-occupied building of five or fewer units (with the exception of rental units in the premises who are occupied by a person 60 years of age or older). NH Rev Stat §§ 540-A:5 to 540-A:8; 540-B:10. Increase in Rent: No state statute. We recommend, however, that a landlord give a tenant at least 30 day’s written notice to increase the rental amount or change any other terms in a month to month lease agreement. And for long term leases, we recommend that the landlord not increase the rental amount until the lease agreement has terminated. NH Rev Stat §§ 540:2 and 540:3. Termination for Non-payment of Rent: If a tenant fails to timely pay rent, a Landlord must give the tenant seven days in which to pay the outstanding rent or vacate the premises. If the tenant does neither, the landlord is permitted to file an eviction lawsuit. NH Rev Stat §§ 540:2, 540:3 and 540:9. Required Disclosures: A landlord must provide the tenant with a move-in checklist. The landlord is also required to advise the tenant that if the tenant discovers any conditions in the rental unit that require repair, the tenant may note the repairs on the security deposit receipt or other writing, and return same to landlord within five days. N.H. Rev. Stat. Ann. § 540-A:6. Basic Rights: All tenants in New Hampshire are legally entitled to a unit that meets basic health, structural, and safety standards, and that is in good repair. Withholding of Rent: Yes. A tenant may withhold rent if the landlord fails to keep the rental unit in a livable condition. N.H. Rev. Stat. Ann. § 540:13-d.
* In addition to the New Hampshire state laws and regulations, we recommend that you contact your local municipality to discuss any and all local housing rules and regulations concerning tenant’s rights when it comes to repairs. Unconditional Quit Notice: These orders require a tenant to move out within a shorter period of time that is allotted in the lease agreement. In New Hampshire, there are different laws for “restricted” property (which is the majority of residential properties) or “nonrestricted” property. For “restricted” property, the landlord must give 7 days’ notice. For “nonrestricted” property, the landlord must give 30 days’ notice N.H. Rev. Stat. Ann. §§ 540:1-a, 540:2 and 540:3. Eviction: No statute. In New Hampshire, a landlord can terminate with an Unconditional Quit notice. Victims of Domestic Violence: In New Hampshire, the following rules apply to issues of domestic violence: (1) a landlord is entitled to proof of a tenant’s domestic violence status (2) a landlord cannot early terminate the lease of a victim of domestic violence and (3) the landlord or court may bifurcate the lease (i.e.the landlord is permitted to evict the abuser, but not the domestic violence victim). All information obtained by a landlord through the tenant screening process cannot be used to alter a current lease agreement, unless the tenant has breached the lease agreement. New Hampshire Revised Statutes Annotated, Chapters 540, 540-A and 540-B. Visit New Hampshire Tenant Screening Background Checks to screen your tenant. All states require a variety of forms to rent an apartment to a tenant and New Hampshire is no exception. Check out American Apartment Owners Association’s New Hampshire Landlord Forms now. Looking for landlord tenant laws outside of New Hampshire? The American Apartment Owners Association offers helpful landlord tenant laws for all 50 states. Click on any of the states listed below and go directly to its landlord tenant law page. To visit the homepage of landlord tenant laws, click here.